Services include electrical trouble shooting, fifth wheel and trailer hitches, tow bars, sway controls, equalizers, brake controllers and wiring hookups, plumbing, sheet metal work, fiberglass, roof repair, toilet repair, wind damage, doors, and accessory installations. Our team possess the knowledge and expertise required to help you get the best skilled service using the highest-quality parts. 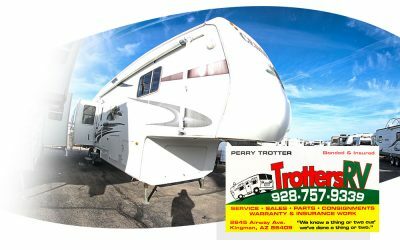 Trotter’s RV, Kingman’s oldest and best RV service center, began on July 26, 1984. Insurance and Warranty Work Available. We accept most extended warranty or services contracts. Clean rubber roof with specially designed cleaning agents, apply UV blocking treatment to protect the rubber membrane. Trotter’s is a certified factory representative and warranty center for Dometic, Norcold, Atwood, Coleman, Suburban, Thetford, Hydroflame, Onan, Rexhall, Forest River, Jayco, Weekend Warrior, Thor, Keystone, Crossroads, Extreme, Alfa Leisure, Western RV, Kit Manufacturing, Coachmen, Georgia Boy, Gulf Stream, NuWaand many others including Cummins, Onan, Generac, and Kohler. 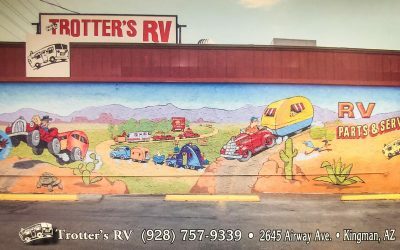 Trotter’s RV, Kingman’s oldest and best RV service center, began on July 26, 1984. 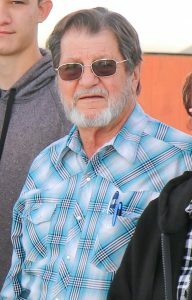 Perry Trotter moved here in 1982 from San Diego, California. His passion for RV’s, RV service, and customer satisfaction, is unequalled in the industry. 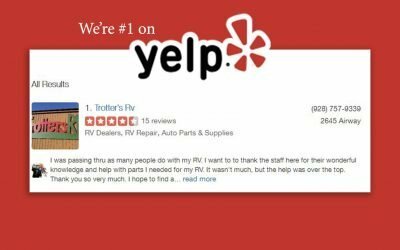 Being the oldest and best RV service center in Kingman, Arizona since 1984, we understand the meaning of customer satisfaction. Our service department has seen it all and your type of problem has most likely already been addressed in the past. We service travel trailers, fifth wheels and motorhomes of all types including accident repairs and insurance estimates. Most importantly we work with your warranty and insurance companies. Customer service was great. Very helpful. I went in not knowing how to plumb an RV. Came out knowing about new kind of fittings. The clerk is very knowledgeable about her employment. We wanted to rip out old carpeting and replace with some vinyl flooring left over from a project at home. They called to say they just couldn’t make it look right. Trotter’s is a certified factory representative in the following brands.